Buying exercise equipment represents a significant investment in your health and a significant hit to your wallet. When you're considering buying a treadmill, elliptical, indoor bike or other piece of equipment, you want to be sure you're getting the best price for the best piece of equipment. Buying at certain times of the year may net you deep discounts, so you save money while still obtaining the equipment you want the most. Exercise equipment doesn't often fluctuate in price due to steady demand and competition. You might find that you get the best discounts in January, when demand is higher and more people are buying equipment to satisfy a New Year's resolution. To entice buyers to purchase equipment instead of a gym membership, you might find sales at big-box and fitness retailers. June is another time when fitness retailers are trying to clear inventory. With warming temperatures comes a general shift to outdoor exercising, and sales of indoor exercise equipment tend to slump, leading to deeper discounts for the consumer. While you might get a better price by purchasing your larger pieces of fitness equipment from a big-box store, you might not get the product protection and service you'll find in a fitness supply store. Choose a store that has knowledgeable staff that can talk to you about how to use the equipment properly, as well as warranties, extended warranties and where to find a local service provider if you need repairs done. Never purchase a piece of fitness equipment that you haven't tried yourself. Things that seem like small issues in the store, such as noisiness or unsteadiness, can be even worse once you've spent the money to bring the product into your home. 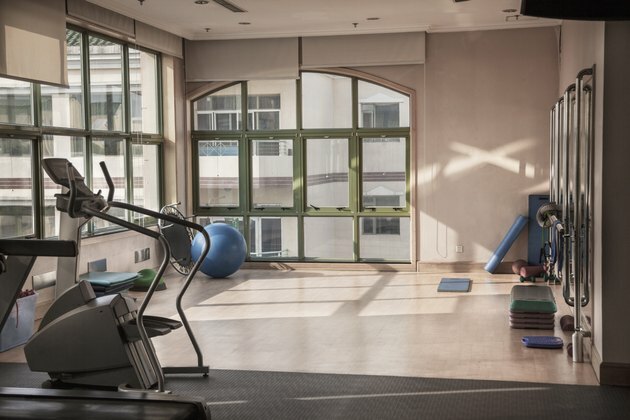 By actually using the fitness equipment, you can take stock of the things you like and those you don't like to make the best choice on how to spend your money. No matter what time of the year you buy, only purchase after you've had the chance to test the equipment for yourself. Whether or not you might receive deep discounts at a particular time of the year, if you want to get started on better fitness today, it might not be prudent to wait until a certain month to buy. Waiting for a better price may derail your fitness goals. If budget is an issue, or you want a better deal, look for used equipment or ask the store about purchasing a floor model for a cheaper price.